This guy just made the most epic crowd-surfing journey up to the stage at Croke Park to perform live with Coldplay in Dublin from his wheelchair. The Brit four-piece were performing in the Irish capital on Sunday evening, when a 29-year-old personal trainer called Rob was lifted aloft in his wheelchair by crowds. 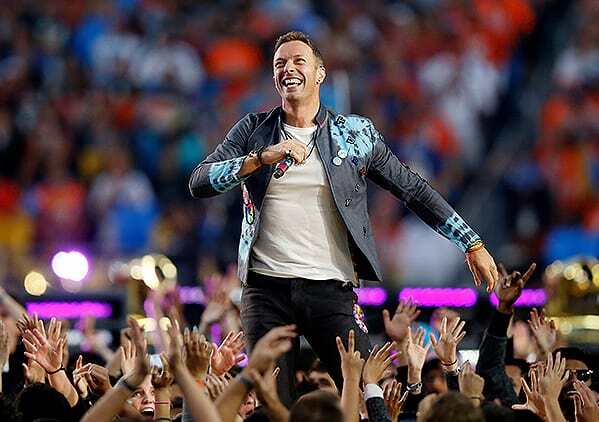 Coldplay‘s frontman, Chris Martin, 40, spotted Rob making his way over the the front of the stadium and immediately invited him up on stage, where the musical pair performed an Irish tune, with Rob playing the harmonica. Last night I had a once-in-a-lifetime experience. A lad accidentally fell on me, but his friends and brothers and sisters all lifted me up to give me a better view. 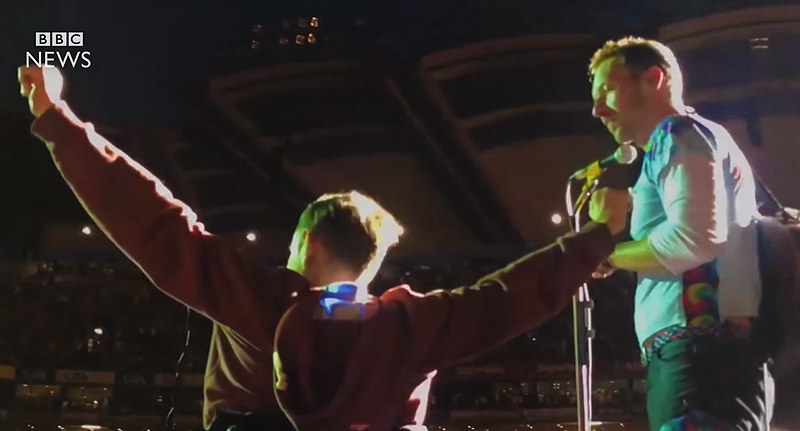 Chris Martin invited me up on stage… 83,000 people cheering. The video has gone viral since and my phone hasn’t stopped. This just goes to show, the universal power of music transcends anything – even restricted views at crowded arena gigs!